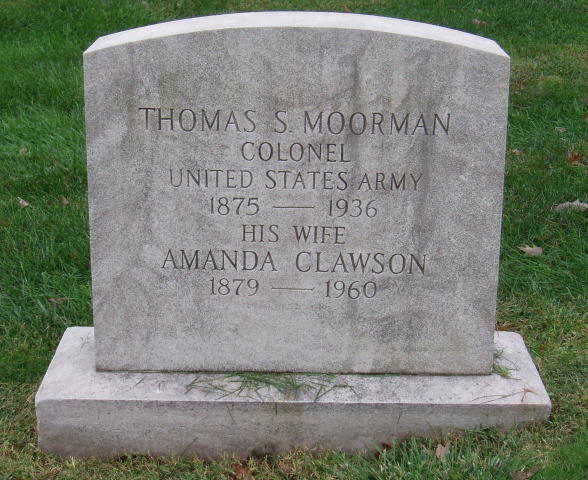 Thomas S. Moorman was born in South Carolina on February 7, 1875. 2nd South Carolina Volunteer Infantry on August 23, 1898 and mustered out of that unit on April 19, 1899.
accepting his commission on July 19 of that year. On September 3, 1900 he was promoted to 1st Lieutenant. in the 17th Infantry on February 2, 1901, accepting his commission on November 26, 1901.
of that regiment in Alaska that same year. On March 11, 1911 he was promoted to Captain. the detail lasting until November 19, 1916. He was assigned to the 37th Infantry on November 20, 1916. September 21 when he vacated his temporary position of Lt. Colonel. He commanded the 22nd Infantry from September 3, 1932 to August 1, 1934. Thomas S. Moorman died in Walter Reed General Hospital in Washington, D.C., on June 28, 1936. 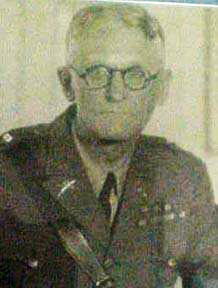 His son Thomas S. Moorman retired from the U.S. Air Force as a Lieutenant General.